For some of us, it's the automated voice that answers the phone when we'd rather talk to a real person. For others, it's the fact that Starbucks insists on calling its smallest-sized coffee "tall." Each of us finds some aspect of everyday life to be particularly maddening, and we often long to lash out at these stubborn irritants of modern life. In Life's Little Annoyances, Ian Urbina chronicles the lengths to which some people will go when they have endured their pet peeves long enough and are not going to take it anymore. It is a compen-dium of human inventiveness, by turns juvenile and petty, but in other ways inspired and deeply satisfying. 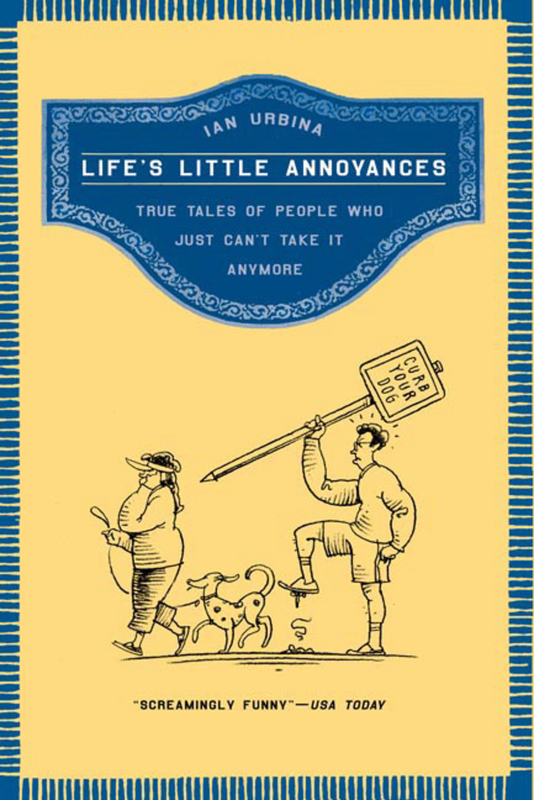 A celebration of the endless variety of passive-aggressive behavior, Life's Little Annoyances revels in the tactics people use to vent their anger at telemarketers, loud cell-phone talkers, spammers, and others against whom we feel powerless—until now. Listen to this audiobook excerpt from Ian Urbina's book Life's Little Annoyances: True Tales of People Who Just Can't Take It Anymore, narrated by actor Stanley Tucci. Urbina chronicles the lengths to which some people will go when they have endured their pet peeves long enough. history from Georgetown and the University of Chicago. His writings, which range from domestic and foreign policy to commentary on everyday life, have appeared in the Los Angeles Times, The Guardian, and Harper's. He lives in Washington, D.C., with his wife, son, stepdaughter, and a nuisance of a dog.